Washington, D.C., circa 1921. 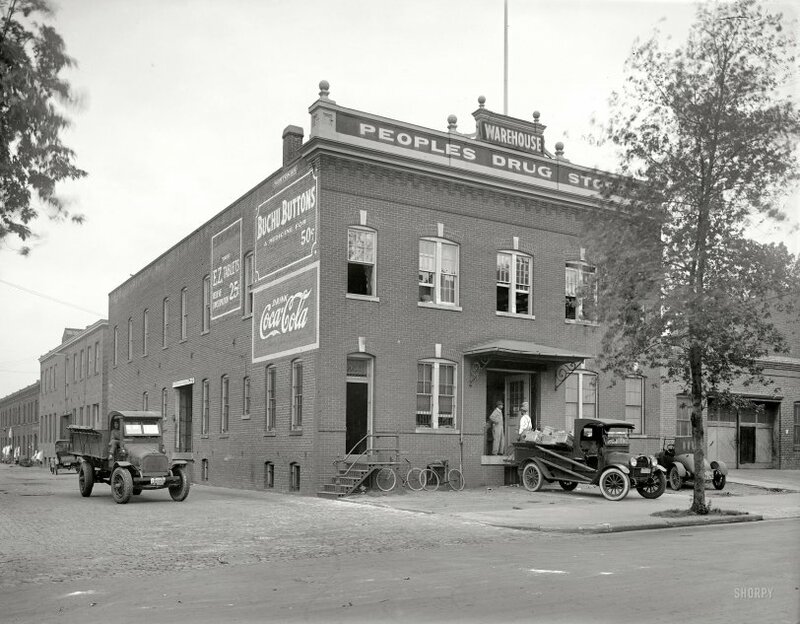 "People's Drug Store warehouse." 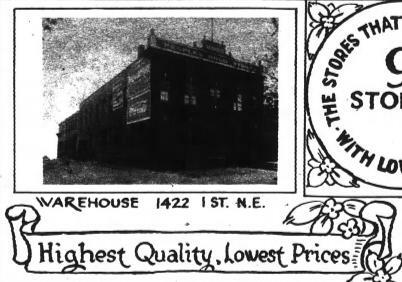 An interesting history of this retail chain here. National Photo Co. View full size. Submitted by biohazard on Sun, 07/01/2012 - 9:18am. 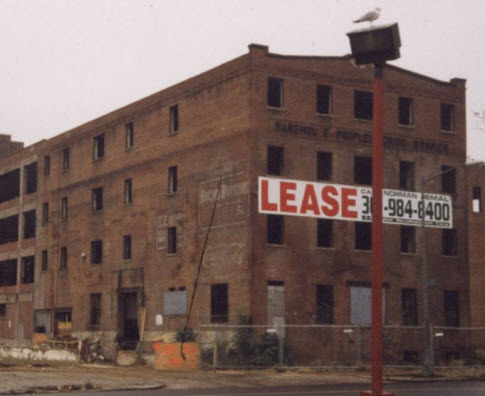 Here's a much later shot of the (expanded) structure before its remodeling into the 'Peoples Building' at 64 New York Ave NE. Submitted by curatorofshit on Mon, 12/12/2011 - 12:54pm. Perhaps I missed this, but the warehouse whereabouts were getting to me. That "sporty looking little roadster"
Submitted by Glenster on Fri, 12/09/2011 - 11:03am. Submitted by Dennis M on Thu, 12/08/2011 - 10:07pm. About to post the same question as nowhine, the top looks like a home built project, so the turtle deck might be home built as well. Maybe someone can ID the cowl & windshield shape. Submitted by kimbla on Thu, 12/08/2011 - 9:09pm. Where did I get the drugs Officer?. They fell off the back of a truck. Submitted by eponymous roadster on Thu, 12/08/2011 - 7:51pm. Submitted by nowhine on Thu, 12/08/2011 - 7:09pm. That is a sporty looking little roadster parked next to the truck. Can any one ID it? Submitted by Phaedrus on Thu, 12/08/2011 - 6:58pm. if anyone really intends to ride a bike with a seat adjusted at such an angle. Submitted by Mr Mel on Thu, 12/08/2011 - 4:13pm. Buchu Buttons or perhaps EZ Tablets? Submitted by SynapticCleft on Thu, 12/08/2011 - 2:02pm. Properties and Uses: Most often used as a diuretic. Submitted by Greycat on Thu, 12/08/2011 - 1:17pm.